With the launch of the new TVS Apache 160, the unsold variants of the old TVS Apache 160 are now being offered as White Race Edition, reveals a dealer. 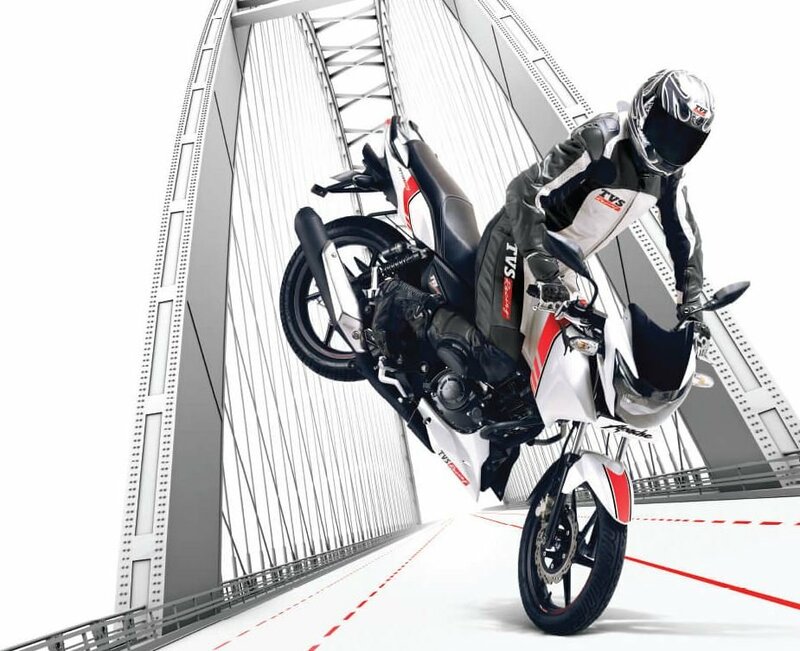 Disclaimer – The manufacturer (TVS Motor Company) has blacklisted Rushlane from it’s events/rides as a consequence of decisions based on restrictive practices. This blog is reliant on available UGC and study notes. 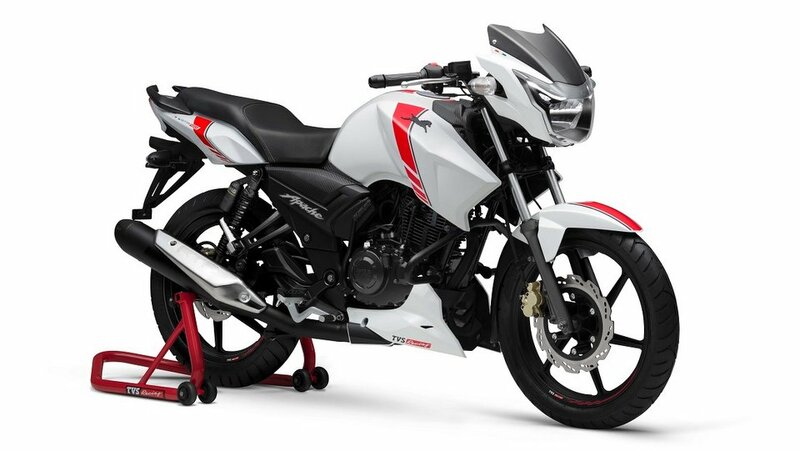 TVS Apache RTR 160 White Race Edition sounds fancy, as with anything that suggests racing, but let’s not get carried away just as yet. The recent launch of Apache 160 4V points to one simple question. What about Apache 160 2V? TVS Apache RTR 160 White Race Edition is available for a price of Rs 79,715 for the front disc and rear drum variant. Front and rear disc version is listed at a price of Rs 82,004 (ex sh Delhi). In terms of availability, an enquiry at dealerships will reveal if the phase wise plan has reached your city. As the name suggests, the bike is white. No surprise there. The paint job is complete with red stripes. That’s probably the surprise. ‘TVS Racing’ stickers are seen on the white engine cowl. A RTR 160 logo is seen on the white tail bit. The new colour addition takes the colour range to seven options. Engine duties remain unchanged. The 159.7 cc single cylinder, air cooled engine returns 15.12 PS at 8,500 rpm, and 13.03 Nm at 6,500 rpm. Mated with 5-speed transmission, top speed is pegged at 110 kmph. Brakes – 270 mm petal disc and 130 mm rear drum. A 200 mm rear petal disc variant available as an option. The bike takes on Honda X Blade, and Bajaj Pulsar 150 UG5.